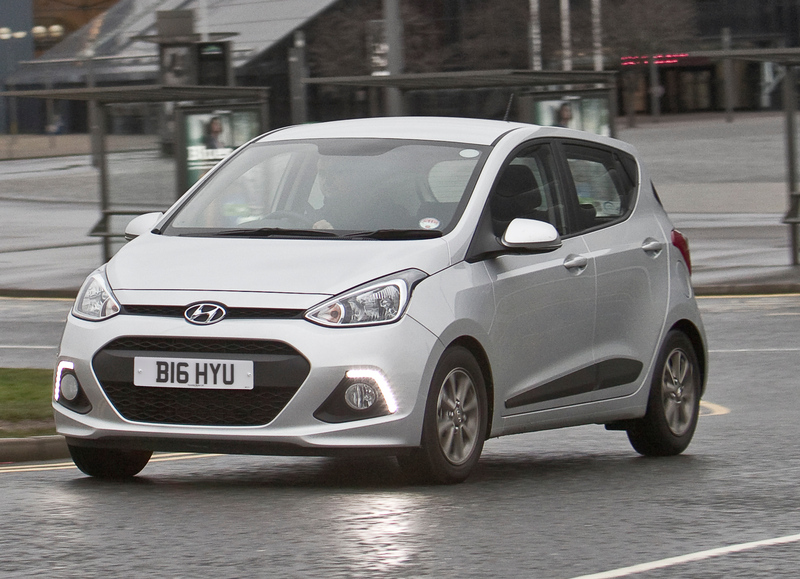 "Hyundai i10 is the more practical city car than its rivals." New generation Hyundai i10 is bigger and better than predecessor. i10 is the best city car around in style, practicality, reliability and powerful performance. Its low running costs and great offers makes Hyundai i10 a winner of city cars. We are very proud to announce that we have an excellent leasing offers available on Hyundai i10 that you can get on fix flexible contracts on low initial deposits and lower monthly price. Hyundai i10 is the stylist five door small city car describes simplicity and sophistication with an irresistible sense of fun. We are very impressed with interior of the i10 offers more legroom and headroom than any of its rivals where 6ft people can sit very easily. The boot is very practical offers 252 litres space where foldable rear seats to expand size up to 1,046 litres. i10 comes with five years unlimited mileage warranty so you can be trouble free. Thanks to Hyundai for its high efficient engine technology offers great fuel efficiency capable of 65.7mpg with lower co2 emissions of 98g/km. i10 is designed as city car but it works great on 70/mph motorway too with same levels of comfort. Two choice of 1.0 and 1.2 litre petrol engines are available to choose between automatic and manual gearbox. i10 offers beyond the expectation, the lowest noise levels in its class. i10 is available in four choice of trim ranges are - Entry level S, S Air, SE and Premium. The entry level S model gets 2 speakers, USB and Aux connection, day time running lights, six airbags and all the driver safety features including anti lock braking system, central locking, seatbelt reminder, brake assist system, tyre pressure monitoring system as standard in all trim models. Whereas premium model adds rear parking sensors, heated front seats and heated steering wheel. i10 is very fun to drive car features all the good looks and high engineering features makes i10 an award winning car. Hyundai i10 is the car to indulge yourself, available on very low monthly leasing price at Car Leasing Made Simple that you can get on great business and personal financial offers from us. Check out our vast range of finance offers on new generation Hyundai i10 today !!! Simply, call and ask our car leasing team for more information about Hyundai i10 lease offers on 0800 458 0113.